Cannabis stocks have gotten a lot of attention on Wall Street in the past year after a handful of popular Canadian growers started hitting the U.S. markets. U.S.-listed names like Canopy Growth Corp (NYSE: CGC), Tilray (NASDAQ: TLRY) and Aurora Cannabis (NYSE: ACB) get most of the publicity. 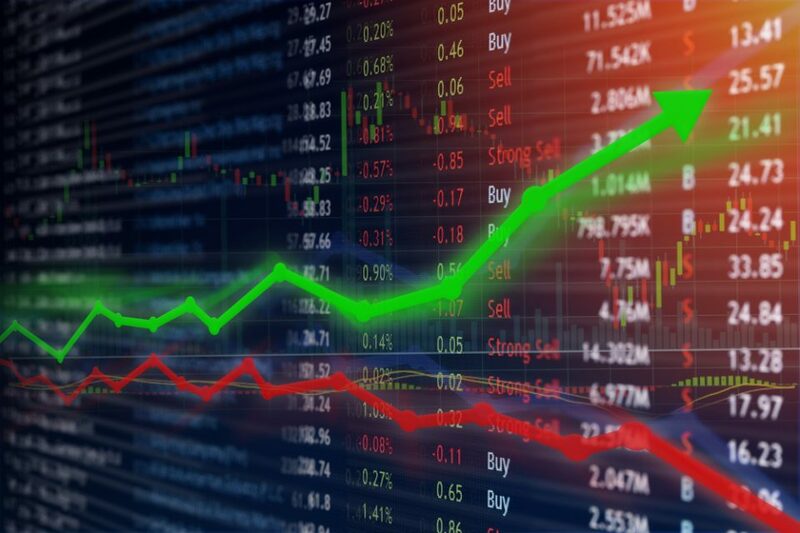 However, OTC-traded stocks Curaleaf Holdings(OTC: CURL), Medmen Enterprises (OTC: MMNFF) and Green Thumb Industries (OTC: GTBIF) could be the best cannabis stocks to invest in. 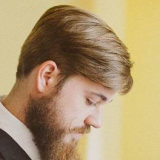 “Federal protection, albeit illegal, has allowed creative risk-taking entrepreneurs (MSOs) to quickly gather valuable assets ahead of an eventual large influx of capital investments,” he says. Fortune says the STATES Act will not only help eliminate cannabis marginalization, but it will also be a huge catalyst for MSOs. Banks located in states where cannabis is legal could be emboldened by the STATES Act and begin to finance cannabis ventures more freely. Investors will certainly see this access to capital as a bullish development. Fortune says MSO valuations could get a big boost as a result. The largest MSO in the U.S. today is Curaleaf, which operates in 12 different states. Curaleaf has a market cap of around $4.6 billion. CURL operates 35 dispensaries, 10 processing operations, and 12 cultivation sites. The cannabis industry continues to catch the attention of institutional investors in the United States. Earlier this week, Seaport Global, released a lengthy report analyzing the global cannabis market and initiating coverage on over a dozen of the industry’s leading cannabis firms. With offices in both New Orleans and New York, Seaport Global is a full-service investment bank that offers capital markets advisory and research services. Looking forward, the report projects that the cannabis market will diverge into two distinct markets, a retail dispensary model centered around the adult use market and a medicinal model offered through traditional channels. Seaport is initiating coverage on Canopy Growth Corp. (NYSE: CGC), Tilray (NASDAQ: TLRY), and Aurora Cannabis (TSX: ACB) with a neutral rating. 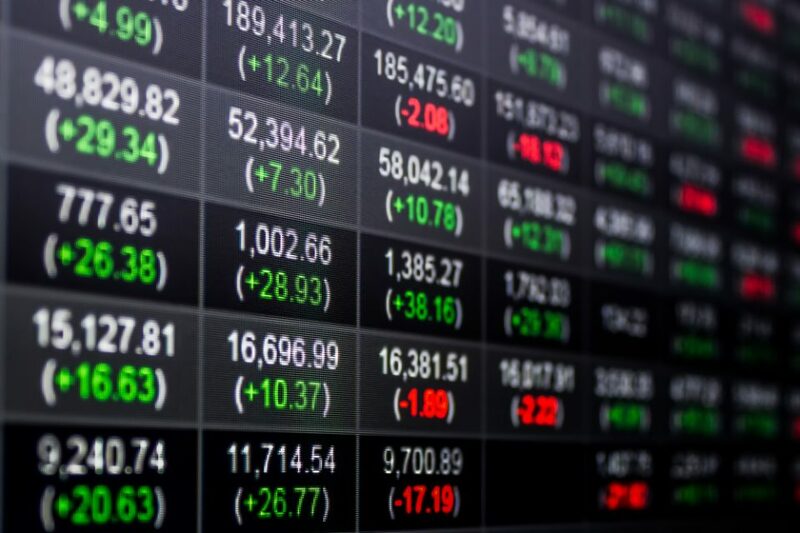 Curaleaf Holdings (CSE: CURA), Green Thumb Industries (OTC: GTBIF), iAnthus Capital (OTC: ITHUF), KushCo Holdings (OTC: KSHB), and MedMen Enterprises (OTCL MMNFF) were given Buy ratings. Seaport’s top picks were Hexo Corp. (NYSE: HEXO), Aphria Inc. (NYSE: APHA), Acreage Holdings (OTC: ACRGF), and Green Organic Dutchman (OTC: TGODF). In addition to initiating coverage on the leading cannabis companies, the report also provides an in-depth analysis of the global cannabis market; including market size, legal status, a supply chain diagnostic, regulatory information, projected market size for 106 countries, and an examination of the market dynamics between the U.S. and Canadian market. 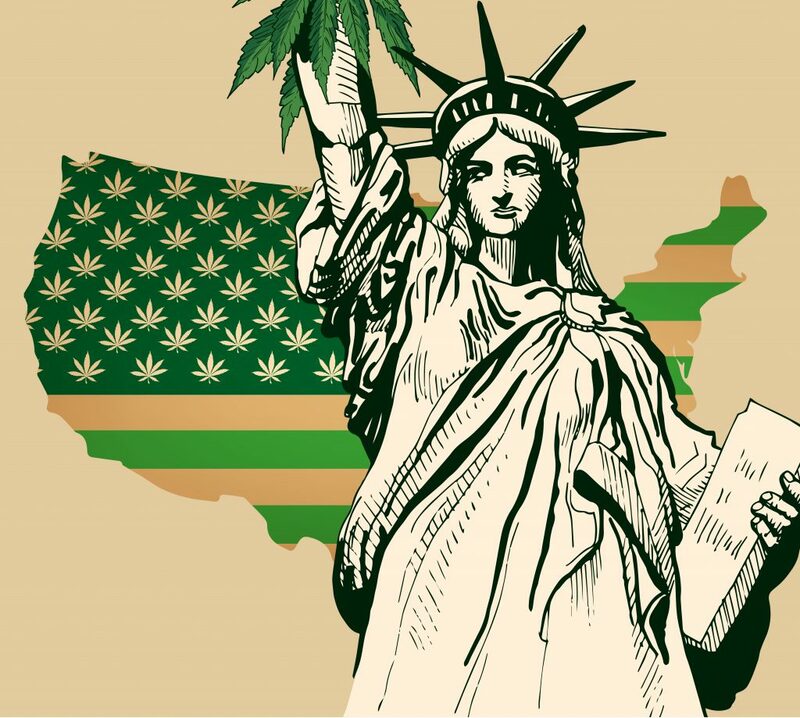 The report also provides a 50-state profile which includes political and regulatory information, a breakdown between the medical and adult use market, weekly spot margin calculations, an examination of the hemp-CBD market, and a segmented rundown of over 100 public cannabis companies. The 208-page report is available online to clients of Seaport Global. After a rocky start at the beginning of the year, the North American Marijuana Index is starting to show some signs of a recovery. 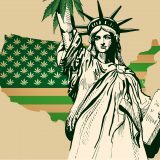 The index, which tracks the top performing cannabis stocks in the United States and Canada, tumbled precipitously in January of this year after the Department of Justice announced that it would rescind the Obama-era Cole Memorandum, which provided guidance for the legal cannabis industry to avoid coming under the scrutiny of federal prosecution. Companies hoping to become listed on the North American Marijuana Index must have a market cap of at least $80 million, a minimum daily trading volume of $2 million, and a share price of at least $1.00. Companies with a revenue of $5 million are exempt from the trading criteria. In the month of April, the North American Index gained 3%, led primarily by the huge gains in the U.S. market. The U.S. Marijuana Index gained approximately 19% in April; six companies on the index gained 20% or more and another ten companies gained more than 10%. The average trading volume on the U.S. Index also increased by 77%, compared to the previous month. The gains were realized following news that former U.S. Speaker of the House John Boehner had reversed his position on medical cannabis and joined the advisory board of the medical cannabis company Acreage Holdings, which operates in 11 U.S. states, along with former Massachusetts Gov. Bill Weld. In the days the following Boehner and Weld’s announcement, the U.S. Index increased by 25%. While the U.S. Marijuana Index was experiencing an upswing, the Canadian Marijuana Index was starting to get a taste for the downswing. Although recreational cannabis sales are set to become legal in Canada later this summer, the Canadian Marijuana Index decreased by 9%. Likewise, the average trading volume of constituents on the Canadian Marijuana Index decreased by 16%. Approximately 80% of the companies listed are currently in the red, with only a few outliers outperforming expectations. Two such outliers were MedReleaf (LEAF) and WeedMD (WMD), which both gained 20% in April. Unsurprisingly, the top three gainers in the month of April were companies listed on U.S. market while the top three losers were Canadian companies. General Cannabis Corp. (CANN) led the pack with a 96% APR return and $4.5 million USD in trading volume. Following General Cannabis Corp. was CV Sciences (CVSI), which generated a 60% APR return and volume of $889,000. Rounding out the top three gainers was Surna Inc. (SRNA), which had a 31% APR return and a volume of $180,000. For this month’s top three losers, Hiku Brands (HIKU) was hit the hardest with a -36% APR return and a volume of $1.2 million. Next was Isodiol International Inc. (ISOL), which had a -25% APR return and a volume of $3.1 million. In third place for the top three losers this month was CanniMed Therapeutics Inc. with an APR return of -21% and a volume of $1.3 million. The most active cannabis company in April was Canopy Growth Corporation (WEED), with a volume of $117 million and an APR return of -11%. The second most active cannabis company was also Canopy’s closest competitor: Aurora Cannabis (ACB). Aurora had an APR return of -13% and a volume of $69.3 million. The biopharmaceutical company GW Pharmaceuticals (GWPH) was the third most active in April, with an APR return of 18% and a volume of $65.4 million. Today, MJIC Inc. announced that it had completed its quarterly rebalancing of the U.S. and Canadian Marijuana Index. Adding four companies in total, the company added General Cannabis Corp. (CANN) and Liberty Health Sciences (LHSIF) to the U.S. Index and added Hiku Brands Company Ltd. (HIKU) and Isodiol International Inc. (ISOL) to the Canadian Index. Liberty Health Sciences is a medical cannabis company that has been expanding considerably in states like Florida. Earlier this year, the company closed the acquisition of a 387-acre parcel of land that will serve as a medical cannabis greenhouse and processing facility. As a holding company, General Cannabis offers a multitude of services to the cannabis industry through its various subsidiaries. 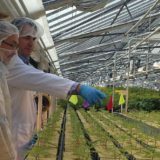 Most recently, the company was able to pay down the remainder of its outstanding debt and its client Green Leaf Medical successfully harvest its first crop. Hiku Brands is a vertically integrated cannabis company with a focus on high-end cannabis brands, such as its wholly owned subsidiary Tokyo Smoke. Earlier this year the company was added to the Green Market Report Cannabis Index. Most recently the company acquired the medical cannabis producer/distributor WeedMD. Isodiol International Inc. specializes in CBD-based products. In recent months the company has taken vigorous steps to establish a foothold in both international and domestic markets. Currently, the company has commenced the development of an organic hemp processing facility for the extraction of CBD and terpenes in China. Since the previous quarter, the minimum trading requirements for companies to become listed on the Marijuana Index have increased. Companies must now reach a weighted average minimum market capitalization of $80 million USD, the daily trading volume of $2 million USD, and a share price of at least $1.00 USD. Companies can be exempt from the trading requirements if they have a revenue over the previous year of at least $5 million USD. The OTC Markets Group, which is home to most cannabis stocks, is taking the lead on identifying stock promotions for its investors. Stock promotion isn’t illegal. What is illegal is not being transparent about it. 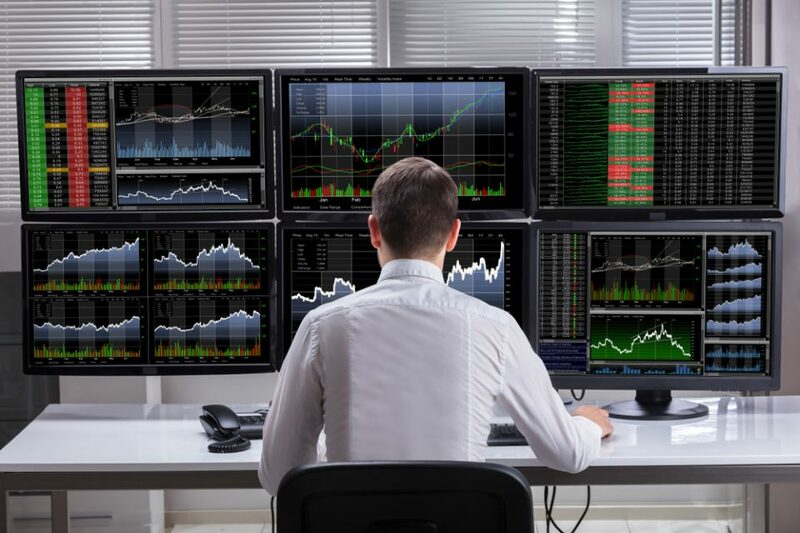 Microcaps or penny stocks are especially susceptible to these types of manipulations because information on these companies can often be limited. In 2014, the SEC charged four people with manipulating stock prices for GrowLife Inc and Hemp Inc. The OTC Markets has employed various tactics to help investors like what it calls the “blunt club” or the skull & crossbones icon that warns the market of bad behavior. However, the OTC doesn’t have the power to engage in disciplinary measures which falls to the SEC. The SEC though doesn’t move very quickly and even if it is investigating a company or person, that information is rarely made public. The OTC believes it can at least react more quickly and warn investors of questionable activity. Investors can check this page for a list of companies that have recently paid for stock promotions. For example, Hemp Americana (HMPQ) appears on this list and also has a skull and crossbones icon. On the company Overview page under the Caveat Emptor designation, there is now a megaphone icon underneath that says stock promotion. The process relies on mostly human observation, with either the OTC team spotting the behavior or an investor bringing it to their attention. 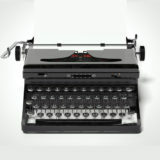 “The job of the market is to sniff out what’s true and false,” said Coulson, “In the long term, it usually comes out. In the short term? Not so much.” Coulson said the OTC was pushing for changes to the rule called 17-B around anonymously paid promotions. The SEC also warns about press releases announcing events that never happen or contracts that never get finalized. Other behavior in stock promoting companies that issue a lot of shares without a corresponding increase in assets. The SEC said in a statement, investors should exercise extreme caution if there appears to be more promotion of the company’s stock versus its actual products. It also said that guaranteed high investment returns, “limited time” stock promotions and unsolicited stock recommendations. Cannabis may be federally illegal, but if all you did was pay attention to the stock market, you’d never know. For the most part, cannabis stock are relegated to penny stocks on the OTC Markets, but an elite group of cannabis companies have been able to push through and make it to larger exchanges; like the NASDAQ and New York Stock Exchange. In part two of our two-part series, Cannabis Stocks, Green Market Report takes a look at the cannabis companies that have managed to make it on to the NASDAQ Exchange (NDAQ). If you missed Part One, you can click here to get caught up. 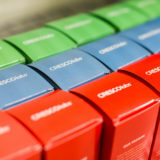 Origo Acquisition Corporation (OACQ) is what’s known as a blank-check company, which is a company that either does not have a business plan or has a business plan that based around mergers and acquisitions; in Origo’s case, it is the latter. 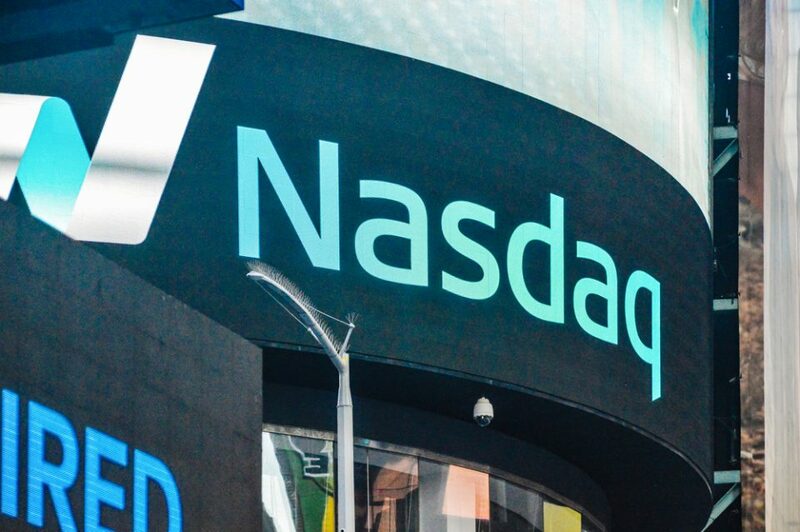 Origo made its NASDAQ debut on Jan. 9, 2015. Most notably, the company attempted a merger with cannabis publishing giant High Times, but the merger has failed to close as of yet. Origo has until March 2018 to close the deal. Complicating that, however, are the efforts on behalf of NASDAQ to kick Origo off of the exchange due to not have 300 shareholders and then failing to hold an annual meeting for the 2016 fiscal year. Filing an appeal, Origo has until Feb. 19, 2018, to come into compliance or risk delisting. Despite its troubles with NASDAQ, Origo’s stock has shown solid growth for the last five years and is currently trading at $10.70 per share. GW Pharmaceuticals, plc (GWPH) is a British biopharmaceutical company that specializes in cannabis-based medicines. The company is best known for its product Sativex, which is the first natural cannabis plant derivative in the world to gain market approval and is used to treat patients suffering from multiple sclerosis. GW was first listed on the NASDAQ exchange on May 3, 2013. Recently, the company has been developing Epidiolex, a drug used to treat seizures associated with Lennox-Gastaut syndrome and Dravet syndrome. Currently trading at $132.16 per share, GW’s stock has seen its share of ups and downs over the last few years; but positive results from Epidiolex clinical trials have helped the company’s revenue jump by more than 200% in the first quarter of the fiscal year. Making its first appearance on the NASDAQ in 1996, INSYS Therapeutics, Inc. (INSY), a manufacturer of pharmaceutical cannabinoids and spray technology, is a troubled company, to say the least. Insys is the manufacturer of Syndros, a synthetic form of THC and one of the few competitors to AbbVie’s (ABBV) Marinol. But Insys is also the manufacturer of Subsys, a sublingual spray of fentanyl, a drug which has landed the company is some very hot legal water. Several states have already sued Insys over allegedly deceptive and illegal practices with regards to the marketing of Subsys; which include bribery and lying to healthcare providers. Worse still, INSYS founder John Kapoor was arrested in Arizona and charged with RICO conspiracy, conspiracy to commit wire fraud, and conspiracy to violate the Anti-Kickback Law. As a result, INSYS stock, which is currently trading at $8.13 per share, has been on the steady decline since July 2015 and has shown little sign of recovery. Corbus Pharmaceuticals (CRBP) late-stage stage clinical pharmaceutical company that’s kind of a cannabis company, but not really. First listed on the NASDAQ on April 17, 2015, Corbus Pharmaceuticals lead product is JBT-101, an oral endocannabinoid-mimetic drug used to treat various medical conditions, including cystic fibrosis. The key word here is mimetic, which means that the drug is not cannabinoid-based. Rather it mimics cannabinoids in order to bind to the CB2 receptors. Nevertheless, Corbus Pharmaceuticals has been branded a “cannabis stock” and has enjoyed the ensuing hype as a benefit. Recently the RDI and Raymond James have initiated coverage on the company with both a rating of Neutral and Outperform rating, respectively. Trading at $7.10 per share, Corbus Pharmaceuticals’ stock value has generally seen a slow march towards growth, with plenty of bumps along the way. 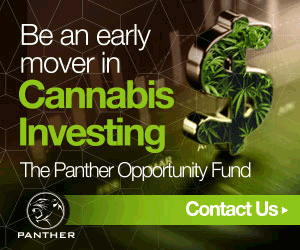 First listed on the NASDAQ on Jan. 31, 2014, Cara Therapeutics (CARA) is a clinical-stage biotechnology company with an interest in research cannabinoid receptors. Like Corbus Pharmaceuticals, Cara Therapeutics is and is not a cannabis stock. The company is considered a cannabis stock because of its cannabinoid-based medicine CR701, which is still in pre-clinical testing. The company’s lead product is CR845, an opioid-based medication. Used to treat chronic pain and itching, CR845 target kappa opioid receptors outside of the nervous system, which means it doesn’t enter the brain; making the drug nonaddictive. At approximately $12.79 per share, Cara Therapeutics stock is down approximately 53% from its all-time high of $26.95 per share back in June 2017. Zynerba Pharmaceuticals (ZYNE) is a biopharmaceutical company dedicated to developing transdermally-delivered cannabinoid therapeutics for patients suffering from severe neuropsychiatric conditions. Both products developed by the company are cannabinoid-based. ZYN001 is a patch that delivers THC directly into the patient’s system through the skin and is currently in Phase 1 clinical studies. ZYN002 is a cannabidiol-based gel that is being developed for patients afflicted with Fragile X syndrome (FXS) and certain refractory epilepsies. ZYN002 has been granted Orphan Drug designation from the U.S. Food and Drug Administration for the treatment of FXS. Zynerba Pharmaceuticals was first listed on the NASDAQ on Aug. 7, 2016, and shortly thereafter its stock shot up in value. Unfortunately, the company was not able to maintain its value and has been on a slow decline for the last year, with some signs of recovery since it bottomed out in August 2017. Like many of the other cannabis stock listed on the NASDAQ, Arena Pharmaceuticals (ARNA) is a biopharmaceutical company with an interest in cannabinoid-based research. Unlike some of its competitors, Arena has a diversified pipeline of cannabinoid-based medicines and non-cannabinoid medicines. The medicine getting the most buzz right now is APD371, an orally ingested medicine aimed at treating pain from Crohn’s disease. APD371 is being evaluated in a clinical study and is currently enrolling patients. First debuting on the NASDAQ on July 28, 2000, Arena’s stock never really recovered since the early 2000s market crash. However, the stock has seen improvement over the last year and may hold future promise if APD371 clinical trials are positive. Cannabis may be illegal on the federal level, but that hasn’t stopped entrepreneurs and investors from making a killing off of the industry. While the vast majority of cannabis stocks remain on the OTC Market, a select few have graduated to the more prestigious exchanges; like the NASDAQ (NDAQ) or New York Stock Exchange (ICE). In our two-part series, Green Market Report will take a look at the cannabis companies that have managed to break through and get listed on either the New York Stock Exchange or the NASDAQ Stock Market. First up is the New York Stock Exchange. First listed on the NYSE on Dec. 1, 2016, Innovative Industrial Properties (IIPR) is a company with a focus on specialized industrial real estate assets. Specifically, the company owns and leases industrial real estate assets to medical cannabis companies. In addition to leasing medical cannabis cultivation and processing facilities, the company also provides their clients with the services of professional medical cannabis growers, many of whom have gone through the licensing process, as well as long-term triple net leases. Company stock is currently trading at $26.10, down from its all-time high of $36.57. 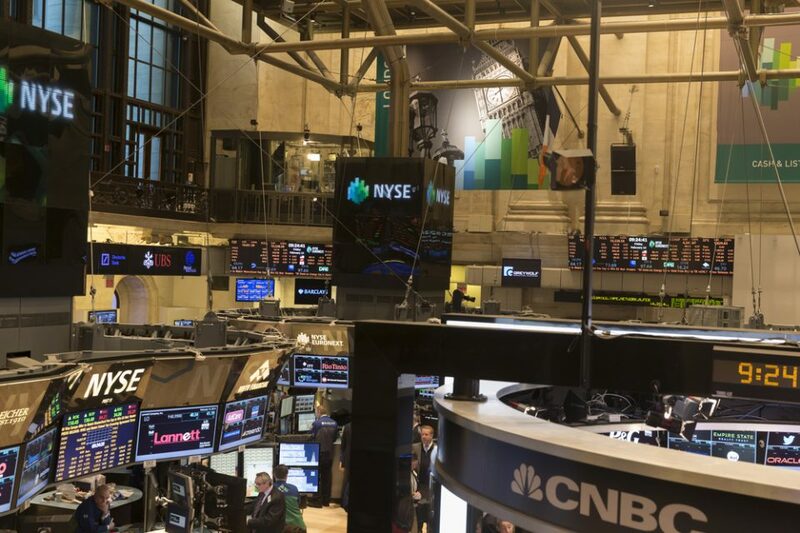 22nd Century Group (XXII) is a biotechnology company that made its debut on the NYSE on March 11, 2014. Specializing in genetic engineering and plant breeding, the company has been working towards the research and development of cannabinoid-related products derived from industrial hemp. Partnering with the University of Virginia, the company harvested its first hemp crop, valued at $1 million, in 2017. Most notably, 22nd Century has developed a strain of tobacco with “non-addictive” levels of nicotine, the first of its kind, and is currently seeking a patent on the strain. The company’s stock is currently valued at $2.90 per share, more than two dollars higher than it was at this same time last year. India Globalization Capital (IGC) is an internationally diversified company that works in both infrastructure and cannabis-related pharmaceutical research. Internationally, the company works in real estate, heavy equipment, and the construction and leasing of farming facilities. Domestically, the company is developing a product portfolio of phytocannabinoid-based therapies to treat Alzheimer’s, pain, nausea, etc. In December of 2017, India Globalization Capital’s received a huge boost in its stock price after it announced that it would work towards developing a blockchain-based platform aimed at solving industry-related issues, such as inadequate product labeling. However, much of those gains have been lost since the start of the year. The company’s stock is currently trading at $0.84 per share. First launched as a spin-off company of Abbot Laboratories, AbbVie (ABBV) is a pharmaceutical company with one critical edge over its competitor: it already has a cannabis-related product on the market. Also known as dronabinol, Marinol is a synthetic form of THC used to help treat nausea in patients suffering from cancer and HIV treatments. Marinol has few competitors, most notable Syndros from Insys Therapeutics, and as a result, AbbVie has seen steadily increasing revenues over the last few years. However, the company’s over-reliance on US Markets make it a slightly riskier bet than it appears. Over the last year, AbbVie’s stock has risen over 50%, trading at approximately $111.20 per share. Compass Diversified Holdings (CODI) is a company that focuses on acquiring and management “middle market businesses,” which are companies that fall somewhere between small businesses and billion-dollar businesses. The company was first listed on the NYSE on May 12, 2006. Although Compass is not primarily a cannabis company, it does have a holding in the hemp-based food companies Manitoba Harvest and Hemp Oil Canada. 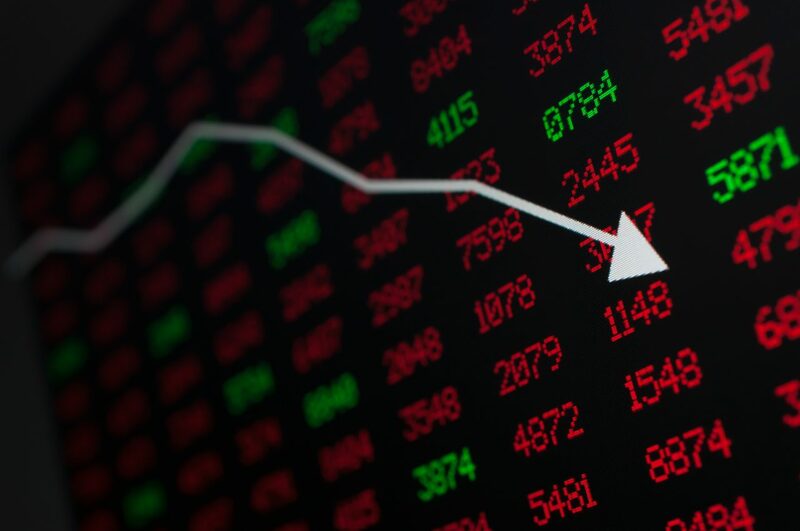 Compass’ stock price has been on a slow decline for the last several years, falling by 4% in the last year alone to approximately $16.60 per share. If you’ve ever owned a lawn or worked outside, then odds are you already know Scotts Miracle Gro (SMG). 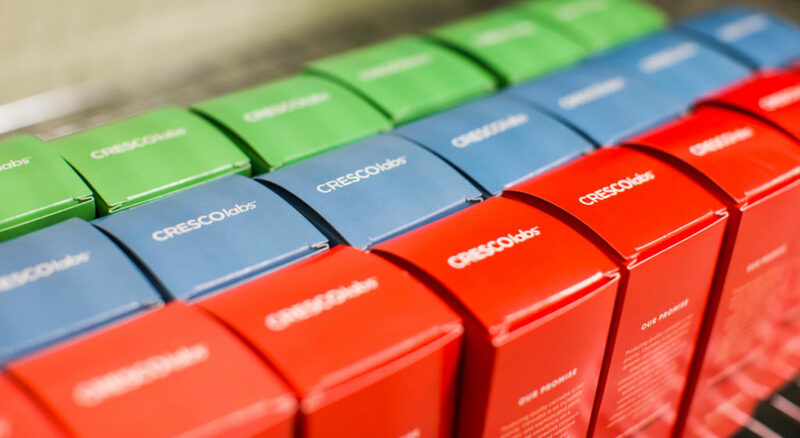 In 2016, Scotts Miracle-Gro surprised the cannabis industry and the markets when CEO Jim Hagedorn announced that he planned on investing approximately $500 million in the cannabis industry. So far the company has spent hundreds of millions of dollars to acquire hydroponics companies and technology. In addition, the company has also begun looking into developing pesticides developed specifically for cannabis plants. By focusing on the ancillary side of the cannabis business. Scotts Miracle-Gro has insulated itself from many of the legal risks with the cannabis industry while opening itself up to the industry’s benefits. For the last five years, the company has enjoyed steady growth but in the last month, like many companies investing in the cannabis industry experienced a steep decline in its stock prices following United States Attorney General Jeff Sessions’ announcement that he would rescind the Cole Memo. Scotts Miracle-Gro is currently at $89.13 per share. Check back again for Part Two of our two-part series where Green Market Report will give you a look into the cannabis companies listed on the NASDAQ Stock Market. Marijuana stocks continued the November rally into December as investors loaded up on stocks ahead of California’s legalized recreational sales. The U.S. Marijuana Index jumped 50% and the Canadian Marijuana Index climbed 65% for the month of December. The U.S. Marijuana Index saw gains of 85% in the fourth quarter and an end-of-year boost as values popped 35% in the last week of December. 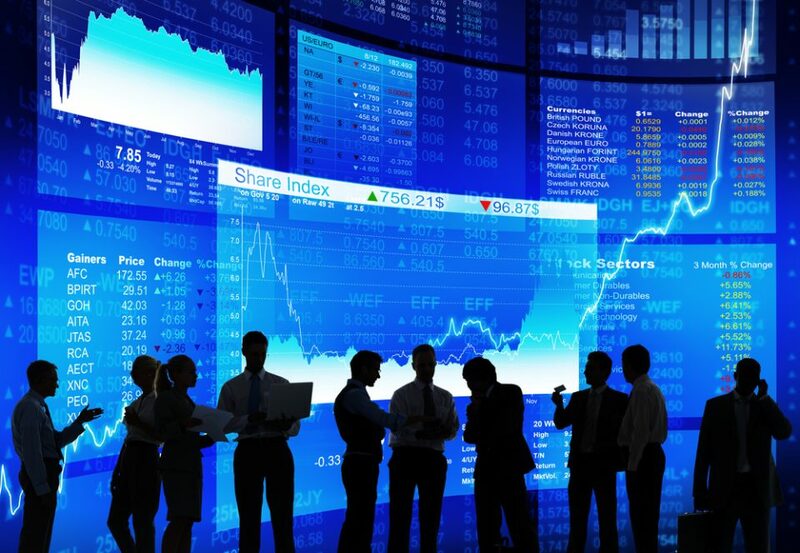 The average daily trading volumes also saw an increase of ten times from the third quarter to the fourth quarter. Overall trading volumes were up 60% from the third quarter to the fourth quarter. The top three gainers for the month were Namaste Technologies (NXTTF) which rose 199%, CV Sciences (CVSI), which rose 165% and MCIG Inc. (MCIG), which gained 129%. The biggest and only loser for the month was MariMed (MRMD) which fell 1% in December. The three biggest gainers for the calendar year of 2017 were Namaste Technologies which added a whopping 1,107% for the year, followed by Cronos Group (PRMCF) at 558% and Solis Tek Inc. (SLTK) at 337%. The three biggest losers for the year started with Emblem Corp (EMMBF) which lost 40% of its value for the year, followed by Marapharm Ventures (MRPHF) at 25% and then MPX Bioceutical which fell 6% for the year. Stocks took a tumble early in January when Attorney General Jeff Sessions rescinded the Cole Memorandum that gave guidance to states that had legalized marijuana. However, it seems many stocks have tried to stage a recovery as cannabis companies have largely ignored the negative news and have continued to operate with the idea that it was business as usual. Politicians have vowed to fight Sessions on his decision.